Even though Wine Enthusiast’s list of the top wine destinations for 2017 only included two wineries in the United States, you don’t have to go overseas to do some quality wine tasting and sightseeing. With so many new and exciting developments throughout this country – from Napa’s many trendy and stylish new tasting rooms and cutting edge restaurants to the much buzzed about Finger Lakes and Texas Hill Country wine regions – it isn’t necessary to travel half-way around the world to have a memorable wine themed vacation. “If you look at the U.S. wine culture, it’s so young compared to other countries, but we’ve been able to quickly gain recognition and also acclaim for the wines we’re producing,” says Kara Kuh, of Travel Salem, which represents Oregon’s capital city and also portions of the state’s award-winning Willamette Valley AVA. Described as one of the most influential wine producing regions in all of Oregon and the entire Pacific Northwest by Wine Enthusiast magazine, Willamette Valley was named 2016 wine region of the year by the publication. Not too shabby for a wine region that was formally established in 1984. Here’s a look at five of America’s additional top wine destinations to explore. It should be no surprise that Napa is where this list starts. 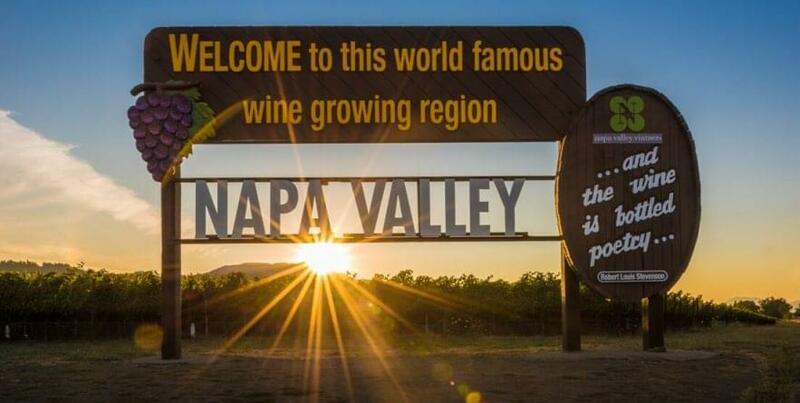 One of the country’s most legendary wine destinations, Napa is home to more than 400 wineries. It’s also a place where there’s so many new and interesting offerings, it can be hard to keep up. Several new wine tasting rooms have opened between late last year and early 2017. Among them, Picayune Cellars opened a new tasting room in Calistoga in August 2016. A small production winery, Picayune is focused on making high-quality craft wines. Also worth noting, Stags’ Leap Winery recently completed a renovation of its historic manor house, which included creating a new tasting space and a “Winemaker’s Apothecary Garden Experience.” Tours are now being offered of the historic property, including a seated sensory tasting highlighting aromatic elements selected from the garden. And because no wine region visit is complete without some fabulous food, here’s a few other recent additions to note. The eagerly awaited Restaurant at the CIA at Copia opened in downtown Napa in December. Located on the ground floor of the legendary CIA’s new state-of-the-art cooking school, the restaurant introduces the unique concept of allowing guests to visually preview each dish by presenting courses to diners on carts. And given its Napa Valley location, the restaurant of course features an impressive selection of wines. Another new name amid the exploding downtown Napa dining scene is Kenzo, an authentic Japanese sushi restaurant featuring fresh fish brought in from Japan’s world-renowned Tsukiji Fish Market. Wine making in New York’s Finger Lakes region can be traced back to the 1850s and 1860s when a handful of wineries set up shop in the area. But since then the region has gone through many ups and downs and evolutions in its offerings. Today there are about 129 growers spread throughout an area that’s often compared to Germany’s Rhine region in terms of its growing climate and top productions. And over the past few years the Finger Lakes producers have truly started to hit their stride and in the process have garnered much buzz, particularly for their stellar Rieslings. A lifelong resident of the region, Brahm represents a family that’s been cultivating grapes and making wine since the early 1900s. 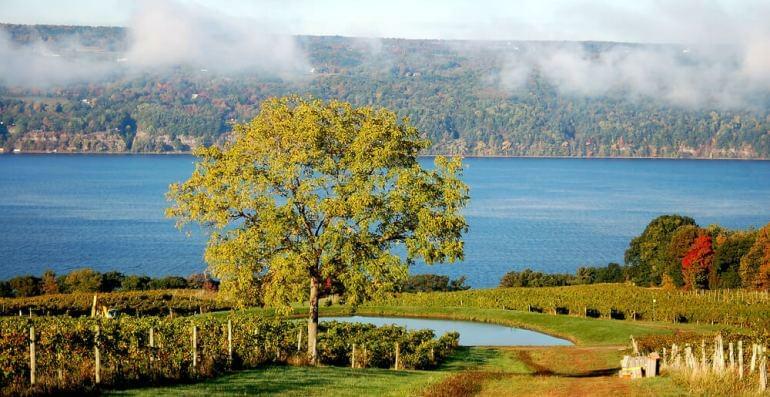 In addition to the must-try Rieslings, Brahm says what makes the Finger Lakes so special, (and sets it apart from Napa), is its diversity of wine offerings. “California grows almost exclusively vinifera grapes. In New York we grow many of the same vinifera grapes, the cold hardy ones such as Riesling, Chardonnay and Cabernet Franc. But in addition, New York grows many French-American varietals, Native American varietals, new release American varietals and extremely hardy Minnesota varietals” says Brahm. Located in the western part of the state, in and around Grand Junction, the Grand Valley wine region is also known as Colorado’s Wine Country. The region is home to about 107 vineyards and about 23 tasting rooms. As for what to try when visiting those tasting rooms, here’s your insider’s tip. But a visit to Grand Junction is almost always about more than just wine, according to locals. The area is an outdoor lover’s paradise (top attractions include Colorado National Monument and Grand Mesa) and it’s also a hotspot for foodies. The Grand Junction Visitor & Convention Bureau has even developed a suggested itinerary that highlights the best foodie hotspots. Some of the top new restaurants include 626 on Rood, which specializes in modern American cuisine and wine; and also Bin 707, whose chef is known for delicious presentations of local food products. Charlottesville is probably best known for being home to the University of Virginia and Thomas Jefferson’s sprawling estate Monticello. 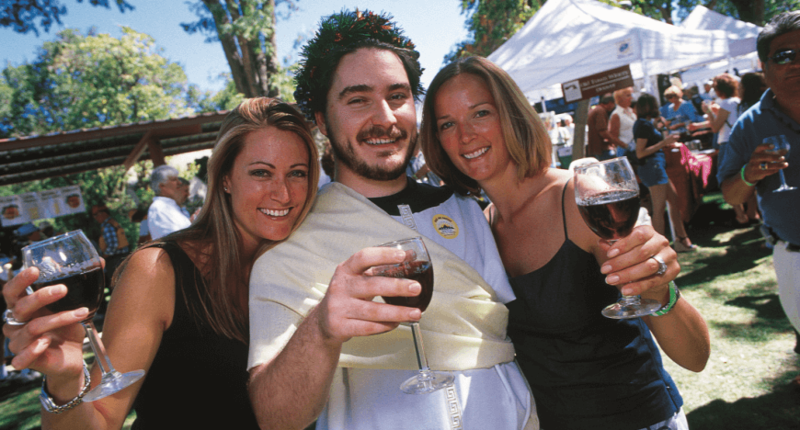 Being a place steeped in such history adds to the richness of a wine lover’s visit, says Matthew Brown, wine club manager for King Family Vineyards. The region has come a long way since Jefferson’s days, and now counts about 30 wineries along what’s known as the Monticello Wine Trail. 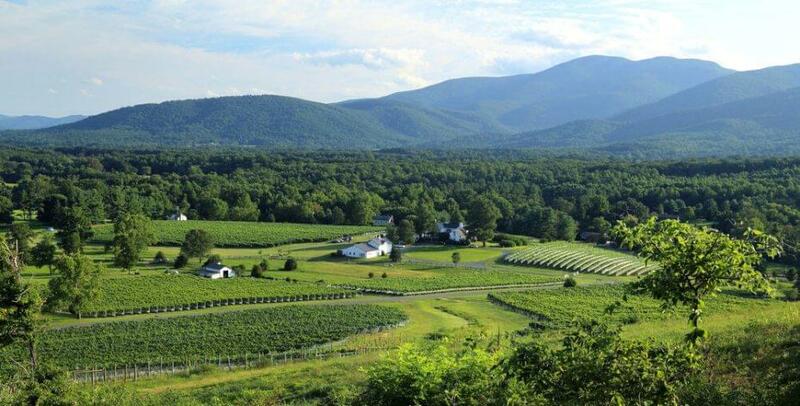 Many of those wineries are located amid bucolic countryside settings with views of the Blue Ridge Mountains. In other words, in addition to tasting wines that in many cases have been inspired by Jefferson’s vision of grape growing and winemaking, the scenery is breathtaking. One of the highlights of the year to mark is the Taste of Monticello Wine Trail Festival, an event that allows guests to taste gold and silver award-winning wines from the 2017 Monticello Cup Wine Competition, paired with hors d’oeuvres. With its stunning profusion of wildflowers each spring and abundance of food and wine festivals, Texas Hill Country is growing to be the darling of both top wine destination rankings and general travel guides. The first vineyards in the area were established in the 1600s by Franciscan priests, but the region was hit hard by Prohibition and spent years working to get back on its feet, says January Wiese, executive director of Texas Hill Country Wineries. “Compared to the Napa industry and other well known regions we’re relatively young,” says Wiese, noting that the area started to rebound in the 1970s. Since then Hill Country has certainly gained some serious ground, being named one of the 10 Best Wine Travel Destinations by Wine Enthusiast in 2015; the second fastest growing wine destination in the nation by Orbitz; and one of the best places in the U.S. to visit in 2017 by Lonely Planet. The region grows a variety of grapes including Cabernet Franc, Cabernet Sauvignon, Chardonnay, Merlot, Muscat, Petit Verdot, Pinot noir, and more. As for the best time to visit, in the spring there’s the already mentioned wildflower display. And in the fall, the month of October is “Texas Wine Month,” a time packed with events and festivals across the region. One last note, if you do go, be sure to drive along Wine Road 290, home to more than one dozen wineries.